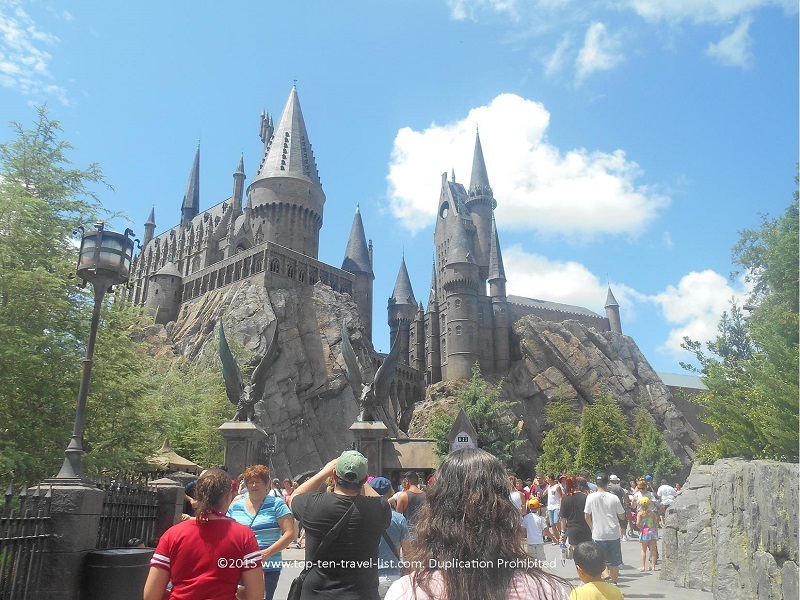 Attraction of the Week: The Wizarding World of Harry Potter at Universal Studios Orlando - Top Ten Travel Blog | Our experiences traveling throughout the US. 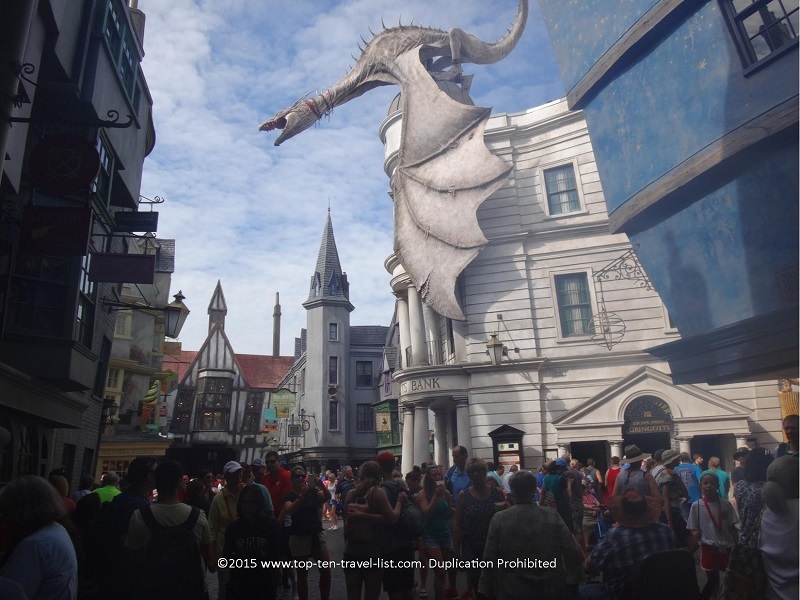 Diagon Alley (Universal Studios) is one of Orlando’s newest and best attractions. Currently, the once in a lifetime experience is available exclusively at Universal Studios Orlando, although plans are underway for a Harry Potter theme park at Universal Studios Hollywood. Any fan of the Harry Potter book series and/or movies should definitely plan for a Universal Studios Orlando vacation. Regardless of whether or not you plan on enjoying the multitude of other rides and shows at the 2 Universal parks (although it would be a shame to bypass all the wonderful rides & attractions), there are more than enough Harry Potter themed attractions alone to occupy your time. And if you haven’t read the Harry Potter series yet, what are you waiting for?! It would be silly not to read the book before visiting the theme park as it does now take up a large portion of both parks! The beautiful Hogwarts Castle, located at Islands of Adventure, is home to the original ride: Harry Potter and the Forbidden Journey. 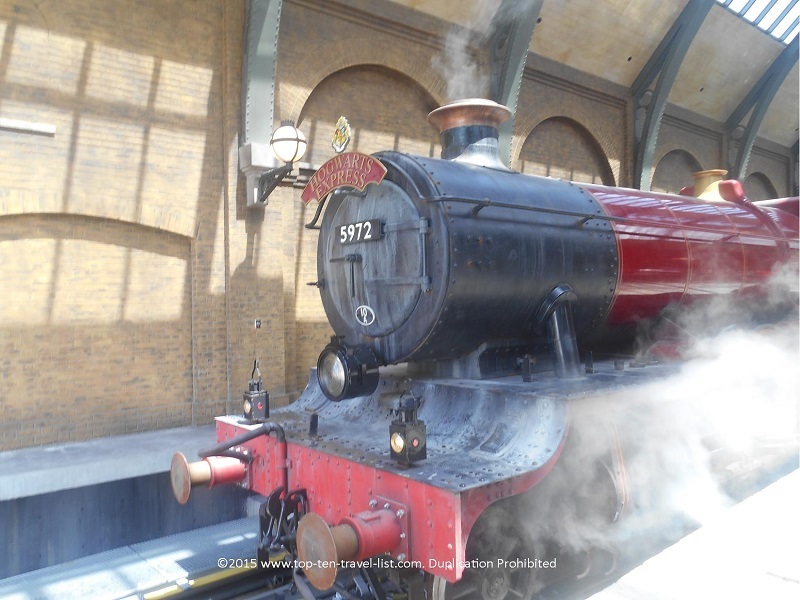 The Hogwarts Express, a 5 minute movie themed train ride, provides convenient transportation between Diagon Alley at Universal Studios and Hogsmeade at Islands of Adventure. 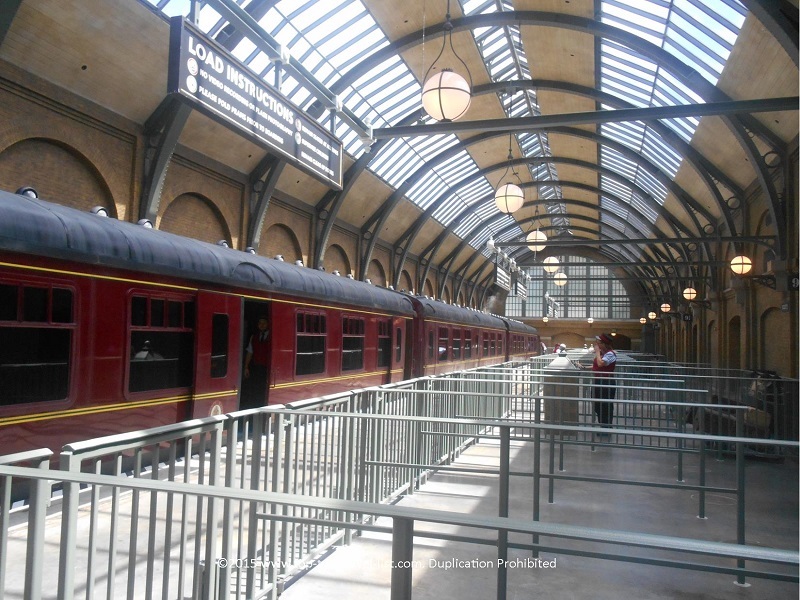 You will need to purchase Park to Park tickets to experience the train, and thus, both Harry Potter experiences. Universal Studios and Islands of Adventure both offer a handful of great rides and shows, so I would recommend visiting both parks regardless of Harry Potter. Note: there is no separate ticket required for entry into The Wizarding World of Harry Potter (your park admission includes access to Diagon Alley & Hogsmeade – just make sure to purchase Park to Park!). 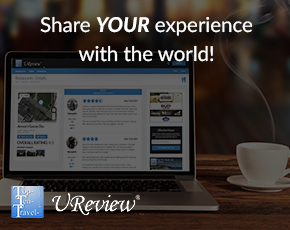 I recommend purchasing tickets on Undercover Tourist to save 29 bucks on a 3 day park to park ticket. 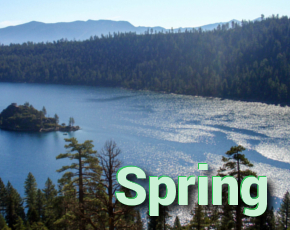 Below is a sample of some of the unique things to do at both sections of the park. The picture-perfect Diagon Alley recreation at Universal Studios. 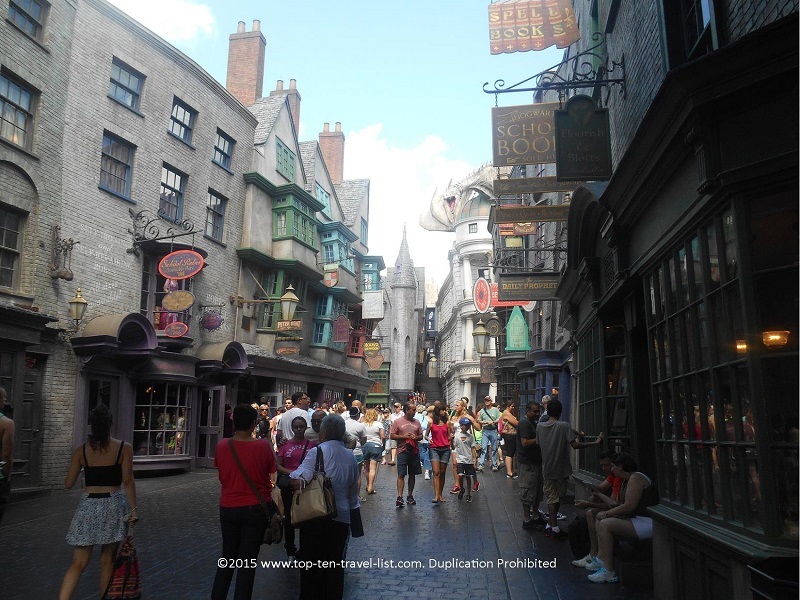 Diagon Alley: The Wizarding World of Harry Potter just recently opened on July 8, 2014. Both author JK Rowling and the production designer of the films were involved in the design process. The shops and restaurants found in Diagon Alley are exact replicas from the movies, and thus, fans will be more than pleased with the whole experience. It’s the closest you can get to feeling as if you are actually in the scenes with the movie characters: an absolute dreamland for Harry Potter fanatics. The fire breathing dragon atop Gringotts Bank is the centerpiece of Diagon Alley. You really get the feeling that you are actually in the movies as you meander down the narrow cobblestone streets and visit such favorite shops as Ollivander’s, Weasley’s Wizard Wheezes, and Madam Malkin’s Robes for All Occassions. You will quickly realize that you can easily spend hours browsing through this Harry Potter wonderland. Everything from wands, robes, and quidditch supplies can be found. One of the really neat finds, albeit super pricey , is a Hogwarts Houses Chess set, a beautiful collectible piece for die hard fans.